Self Defense tool Training FREE! 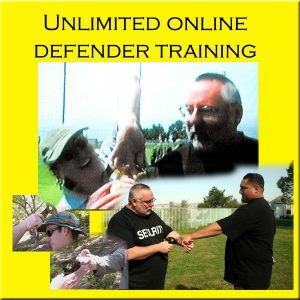 Self defense tool training is now FREE self defence training so you can see what the Self Defense tool can do for you and your family! Many people think they know how to use this great new tool but if you watch the video first you can see exactly how to use or integrate the tool into your self defense. It’s always a good thing to see what you are purchasing and how to use it. Now it’s free to view so you can see how to use the self defense tool. These tools are revolutionary in their invention and how they seamlessly can be used with whatever self defense technology you already know. This training for the self defense tool covers almost all the current models. They all work much the same only some are more aggressive by nature. Where we invented models after the filming of the training videos, I put a small video clip on the information page of that model to show you how it works. So now there is very little reason to not watch the training, make sure this is exactly what you wanted to purchase, then purchase the self defense tool all the while you can train while it’s in the mail to you! When it comes to your safety or the safety of your loved ones nothing approaches the capability of the self defense tool. Listen, even if you have to use it you can be seen that this is your last choice in your own self defense. This fact is huge when you think of having to defend yourself in a court of law. Unlike a gun or knife which can have disastrous effects on your opponent, you can show that it was them who attacked you. Then had to decide to hurt you and then personally move into your space to do so. Thus, it’s self defense and not accidental like shooting at someone then hitting an innocent person. Also unlike a knife or a gun, if the self defense tool gets taken away from you the attackers are very unlikely not going to know how to use it against you! This mire fact is amazing in its own right as no other tool has this feature (or at least modern day weapons).